Finance is uniquely equipped to offer validation of the plans as proposed. But, more importantly, Finance can offer real direction to improve the chances of the plan’s success. Finance requires two things to accomplish this: data and information. Just because a product can accomplish a specific requirement, doesn’t necessarily mean it should be marketed or promoted for that ability. Finance can help identify where specific product configurations are actually creating liabilities once they are in the field or, perhaps, simply costing the company more money to maintain the inventory necessary to offer the option than the company receives from the sale of that option. 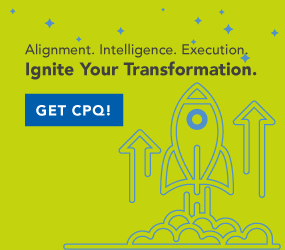 CPQ makes product data available for analysis to ensure that companies are optimizing their buying and selling processes. If a company’s product is selling well in one territory and not in another, finance can help examine potential reasons why this might be happening. With a robust CPQ system, Finance can analyze the sales performance and look at other factors related to where products are sold. Maybe boosting the sales force in the under-performing territory is all that’s needed for improvements. Perhaps modifying the product can open more opportunities. Perhaps abandoning a specific territory is necessary. CPQ data can enable Finance in helping to make this call.